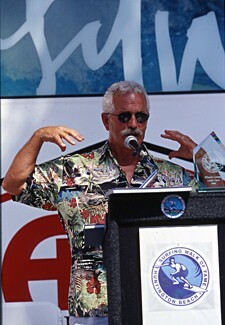 Chuck Linnen 2003 Local Hero, 2007 Honor Roll "The Boys of '55" & 2011 Honor Roll "Hole in the Wall Gang"
"As I ride the wave distantly, following the echo, I have arrived at my home"
A longtime local Huntington Beach surfer, Chuck rode his first wave in 1954 then traveled to the North Shore to surf in the early 1960's. Competition has always been his forte. 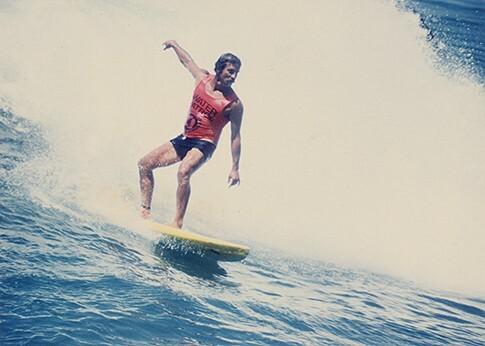 He competed in the '58 Oceanside Invitational, the first U.S. Championship at Huntington Beach Pier in '59, and the '61 World Contest at Makaha. He competed at the 1964 world contest in Peru and was runner-up at the Malibu Masters event in 1973. 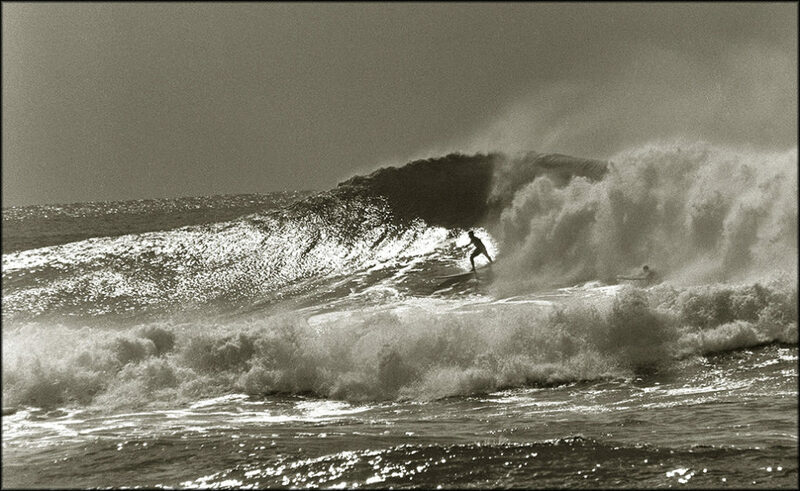 Recently held NSSA Senior Champ and WSA Grand Master titles. 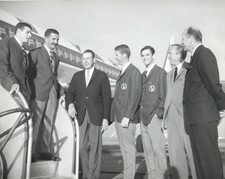 PHOTO: Chuck and other team members arriving at the Peru Airport for the the 1964 World Contest, standard attire. Linnea Archive. 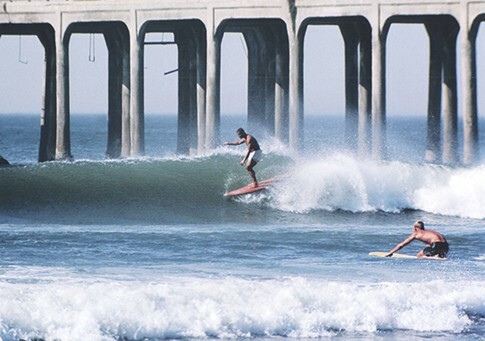 PHOTO: Chuck at Huntington Beach Pier, courtesy of Ron Dotson. Linnea Archive. 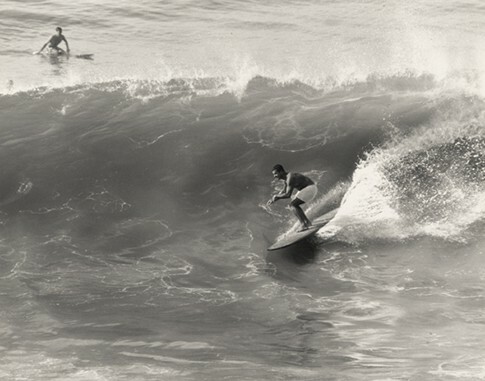 PHOTO: Chuck with Joyce Hoffman at Sunset Beach December 65'. 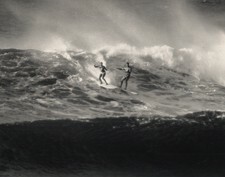 Courtesy of LeRoy Grannis. 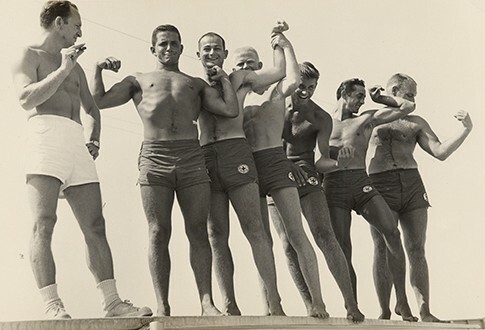 PHOTO: Navy days "When Men Were Men", Chuck Linnen second from left. Linnen Archive. Gordie Surfboard 3rd Board George Stremple reshaped Balsa board, referred as a "Pig Board"
1962-64 Surfboards by Jacobs in World Contest Lima Peru, South America. 1964-65 Vardeman Wayne Land Model. 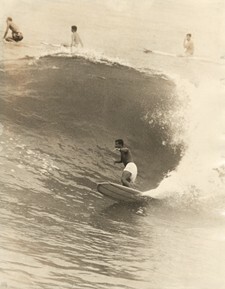 Guns Big Wave Boards 11'4"
1966 Bing Copeland Surfboard-Only three made "Bing Pipe Liner"